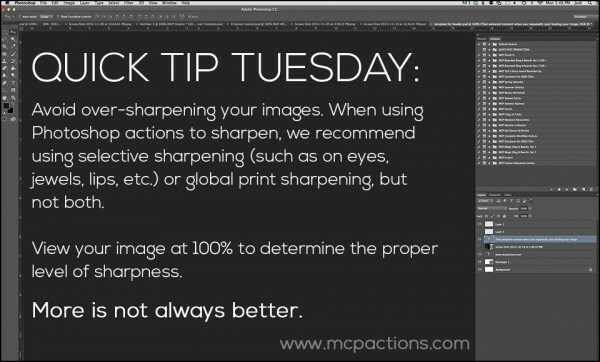 If you use Photoshop or Elements, at some time you will feel like the program has gone crazy and weird things keep happening. While there are other reasons for it too, if you delete the preferences, your troubles often vanish. This is a quick fix for many quirks that build in the programs. Deleting your preferences is stronger and more powerful than restarting the program – this jumpstarts and cleanses Photoshop and Elements. We recommend you PIN this graphic explaining the solution to your boards or save it for when you need it most. 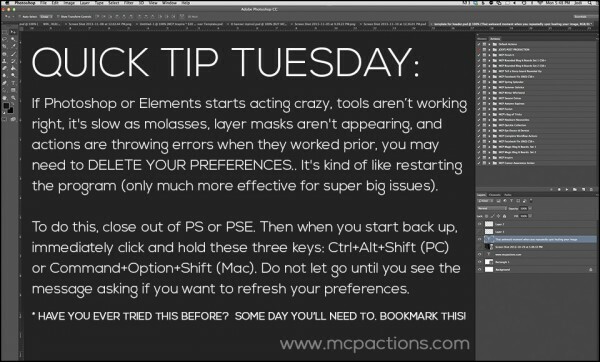 We will be adding more “quick tips” if this is helpful so be sure to let us know. 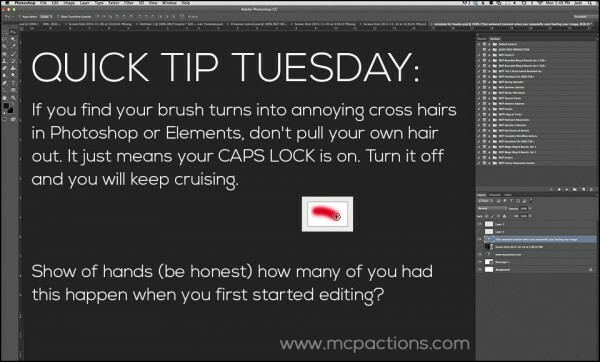 Super Quick Photoshop Tip That Will SAVE You!